Rich tributes were paid to the legendary leader Netaji Subash Chandra Bose on the eve of his 122nd Birth Anniversary at KISS premises today. 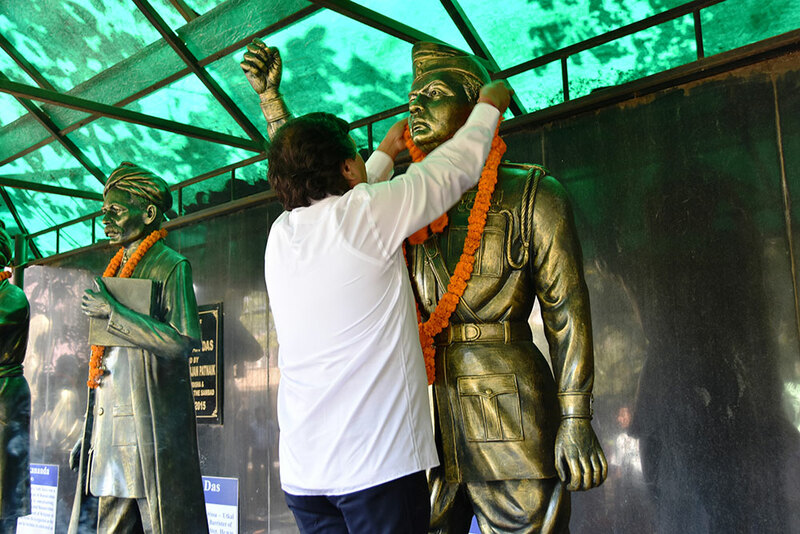 In the morning, the Founder of KIIT and KISS, Prof. Achyuta Samanta garlanded upon the statue of Netaji and paid his solemn homage to the iconic freedom fighter. Prof. Harekrishna Satapathy, VC, KISS Deemed to be University; Dr. Prasanta Kumar Routray, CEO, KISS; Shri Surjyakanta Mohanty, C.O.O. KISS; Dr. P.K. Das, Director Livelihoods, KISS; Shri Pramod Kumar Patra, Dy. C.E.O., KISS and Shri Basanta Behera, D.D.O., KISS were present among others and commemorated Netaji on this occasion.